Here’s an amusing side road to take if, instead of reading this obviously stellar column, you’d rather let a debate between your friends dissolve into instead madness and chao……and your hands are already all up. You all disappoint me sometimes. 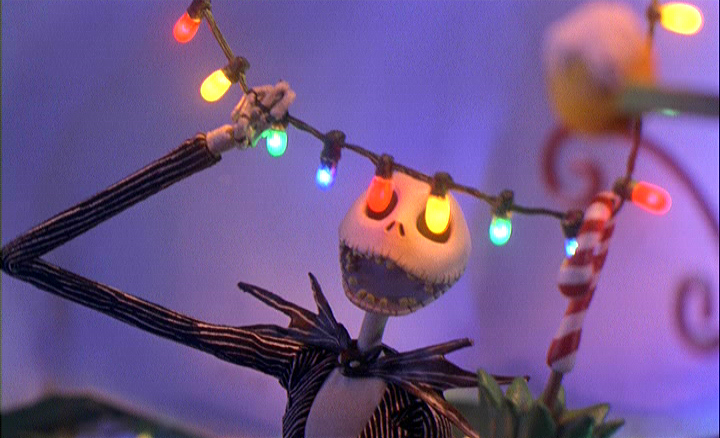 Ok, is Tim Burton’s The Nightmare Before Christmas a Christmas movie about Halloween or is it a Halloween movie about Christmas? All right? I can see cutlery has already made its way into the home office debate so I’m going to slink out the back and return when the screaming becomes less of a physical presence. ELAPSED TIME BREAK (9 hours 12 minutes 17 seconds). Well, it looks like the transplant patients have been given thumbs-up for matches across the board (It’s a Christmassy…Halloweeny. ..Holiday miracle! ), so back to discussing a film many grown people have inappropriate levels of passion regarding. Granted, I’m not mocking you as I own a Jack Skellington baseball jersey (oh, please, you’re judging me? when you own that -insert name of collectible that immediately sprang into your mine – in TWO COLORS? ), but the fervor regarding NBC is matched by few films in cinema history in that it was both nearly entirely years after the film left theaters and driven by age groups that marketers didn’t even consider marketing the film to (which is probably why it was a rather large box office bomb). 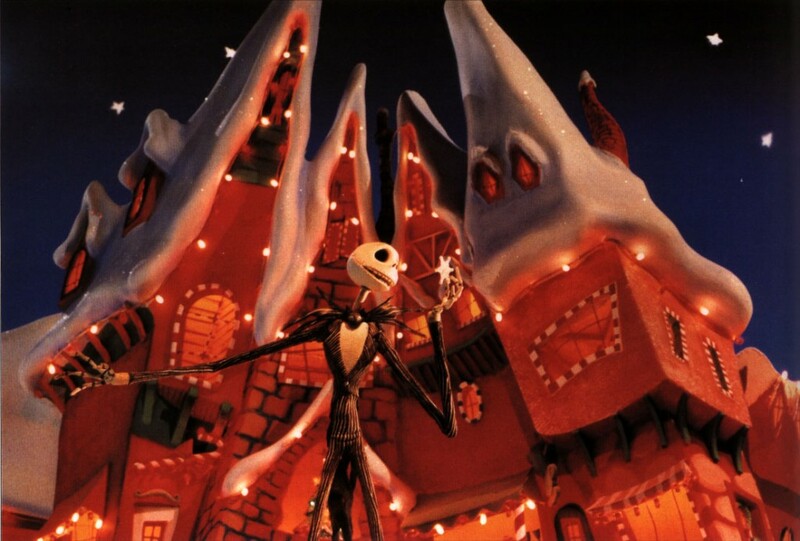 However, now Jack Skellington is probably the most iconic character in the Disney stable (snuck in through the back door though he was) introduced in the last 30-odd years. What? Seem to have blacked out there and good merciful heavens, who gift wrapped the pug? Clearly things must be gotten back under hand here at KT HQ but go pop in a copy of NBC and enjoy it non-stop between now and….whatever holiday you feel it best captures. Best part of the movie! I love Burton so much. I don’t know what he’s like in person, but his stuff is so sweet-spirited. In 20 years The Nightmare Before Christmas has never done any harm, only good. And probably Edward Scissorhands, too, and definitely Ed Wood and Big Fish. The Edward Trilogy. I’m so tired of nihilism. I wish I had not seen The Girl With the Dragon Tattoo. You can acknowledge the darkness in the world while offering up the best of humanity instead of wallowing in the worst. Douglass Adams was wrong, the Earth is not a computer trying to figure out the meaning of life, the computer is Man, and all our hard work gets mucked up when we watch a film about evil. I’m glad I grew up on Burton’s movies. Sorry, that last comment was a little flowery. This film cannot be over-praised. No apologies necessary!